So, I was reading through the list of Yunho’s songs on his new album, U-KNOW Y.
I couldn’t help but laugh when I read that one of the titles was “Tattoos and High Heels.” Well because I know of a certain tattooed person with a height complex. 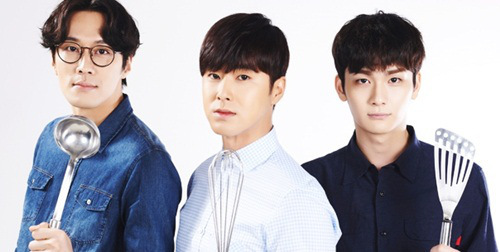 Not that the person is very short, but the person is rather shorter than… erm… Yunho and his current partner. Just saying. Now, looking for translations to this song has not been forthcoming yet. And I have no idea what it’s saying. I don’t think that he’s the one who wrote the lyrics either so I can’t gauge his… content. But the title totally made me laugh. Totally. July 8th as well… Is there a significance? How about SOMEONE’s 100th day? Let’s not get SOOO obvious, right? Ah. And considering that Jaejoong had put out a mini album before titled Y as if asking a question. Is this Yunho’s answer… U-KNOW Y. The thing is, when it was just Jaejoong’s mini album. 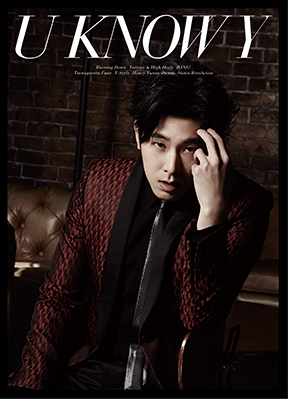 We wondered if Y meant “Yunho”. Because after all, he had first put out “I”. I’m not the only one thinking this either. I’ve seen the pictures of Y and U Know Y juxtaposed next to each other. I think this is his most comfortable role yet… still though, he’s unable to distinguish between when his character is supposedly acting. His character is brusque, cold, abrupt that even his subordinates slink away after a certain look from him. But yet, there are moments when he’s sweet (because he’s acting nice). Now, the problem is that usually when someone does this, there is a tell… a small knowing smirk and not a genuine smile. So, this part, innocent Yunho probably does not know of and cannot properly convey. Lady killer he probably is not, despite the tabloids. Jang Dong Gun could play this role real well, I think. However!!!!! The girl’s reactions in this show covers up this subtle acting foible. And she does great because the reactions are over the top! And that’s what keeps me watching. The eyes… Yunho’s eyes when he smiles genuinely… Yes. There are plenty of HANDSOME South Korean actors. Jang Dong Gun is one. Lee Phillips also. And some of their leading men are just… boys next door, good looking sort of, pretty ordinary, run-of-the-mill cute. Just not devastatingly handsome. I’m not even poking at the idols because they’re mostly younger generation. I’m waiting until they fill out and become men. Although the boys of 2PM could possibly be contenders there. Kim Woo Bin is definitely HANDSOME, hands down! Then there are the pretty men. Pretty. Not Handsome. Jang Geun Suk is pretty. G-Dragon for all his brass is pretty. TOP is Handsome, but still… young… nothing like James Bond (think Pierce Brosnan). Seungri… he’s the boy next door. Taeyang is the boy next door that is handsome beyond belief. He could be the one that makes all the girls in the youth group sigh. But he’s an approachable handsome. 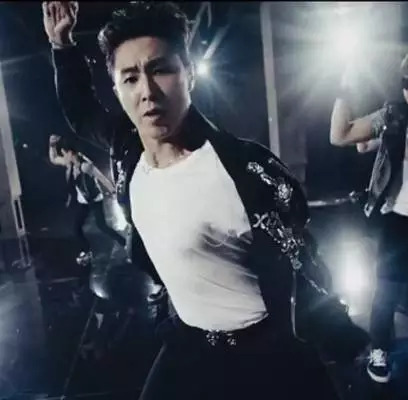 Jung Yunho… sometimes, he is handsome… depending on who takes the pictures. I hate to say it but he was much more handsome juxtaposed against a pretty member… and it’s not Changmin. Now, Changmin… hmmm… He’s not handsome either. He WAS cute. He’s grown into someone… ummm… I don’t know… He’s grown cold. 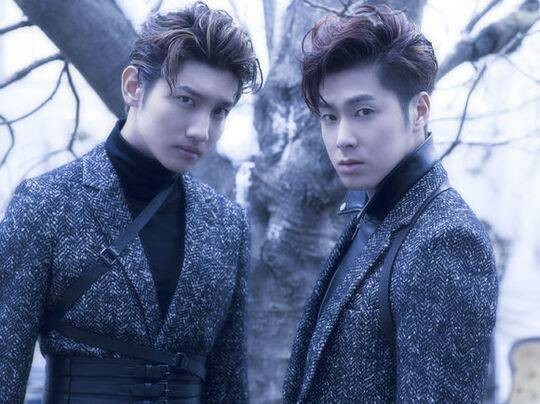 There is a certain coldness in Changmin that wasn’t there before. And it hasn’t dissipated. The mischief is still there and the know it all attitude. But when he stands alone or even with Yunho, there is a certain coldness in his demeanor. And not even his beloved hyung Yunho can take it away. Now this role in “I Order You” Changmin would be able to pull off the subtleties more so than Yunho has. Either way, it’s a learning experience for Yunho. I think that Changmin is a much better actor than Jung Yunho. Although Changmin can’t really dance as fluidly as Yunho. Am I obsessed with Jung Yunho? Yes. And Kim Jaejoong. Maybe if they came out like Nate Berkhus and Jeremy Brent I wouldn’t be so obsessed. However, I see something that others are telling me is not true. Huh. So, I keep watching them for signs of… well… letting go… and I haven’t seen it. Not yet. Even if they get married for eff’s sakes to girls. 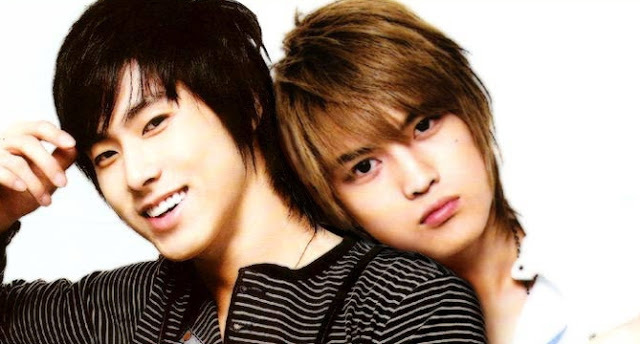 I don’t think I’ll see the kind of… oneness… of wholeness… as I’ve seen when YunJae was together. The thing is, I like Kim Jaejoong. Him, I don’t criticize as much. Then again… what can I criticize about him? He’s seriously a pretty man. With Triangle… oooh… he became… WOW!!!! So, Kim Jaejoong I treasure. After all, his voice, angry or sad is just too… emotionally expressive. It draws you in. If he improves, Yeay!!!! And if he doesn’t, I’m sure I’ll be that much more disappointed. I really do have high hopes for Jung Yunho. I really am a tsundere to this boy, ain’t I? The news states that Changmin will be enlisting soon before the end of the year, so that after two years, there will be a comeback of the two. Do you really believe that? The economics of K-POP is incredible. And requires the cooperation of the country’s political machines. In the meantime, while I’m waiting for all of them to come back as 5, I’ll go and polish up my shooting skills. I have yet to take the bow and arrow out of the box. LOL! Now, where do I go and get some hay bales for targets? And because I’m evil like that, I’ll need a necessary target. Whose face should I put up? Park Shin Hye. Don’t ask me why. 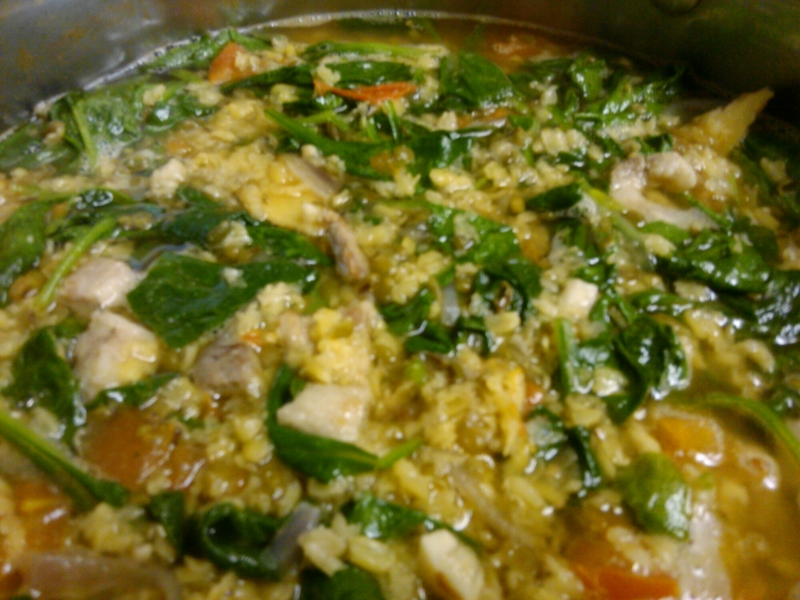 There is something comforting in stews. And this is one of my favorites. Cooking it is a unique experience. Perhaps it is the addictive smell of sauteed onions and garlic with the smokiness of the chopped pork belly. Perhaps it’s the splash of fish sauce and sizzle of tomatoes. I think it may have to do with the instructions I havr described to the kiddos wanting to learn WHEN the beans are done. You see, the split seed mung beans need to flower – blossom – when it is done. If you have ever cooked this, you would understand. This recipe is so beautifully fragrant, it makes my mouth water. Spinach wild or domesticated is a good accompaniment. It is delicious without any other greens, but visually, some green is pretty within it. Horseradish leaves, from the horseradish tree – marungay – is another one that is delicious here. I have also used baby kale. As well as the glossy leaved choy sum. If you ever want the recipe, let me know. Everything here isn’t measured. But the taste…. like home.